If you haven’t already, it is time to register for convention! 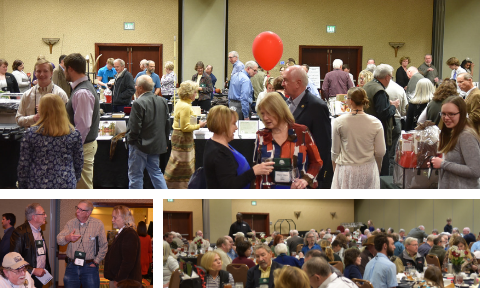 The Conservation Federation of Missouri (CFM) invites you to join us at our 2019 Annual Convention. 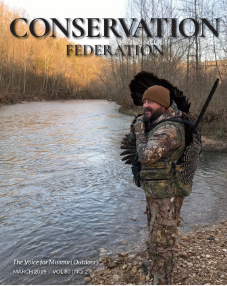 This Convention marks the 83rd year of CFM’s dedication to conservation and will be held at the Capitol Plaza Hotel in Jefferson City the weekend of March 8-10. Convention kicks off on Friday evening at the Annual Conservation Awards Ceremony. This is when we honor outstanding accomplishments throughout the past year including the Conservationist of the Year and Conservation Organization of the Year. Scholarships are also awarded to students. We plan to continue with the Legacy Auction again this year and will auction the collection of Al Vogt’s firearms, with proceeds benefiting the CLC program. Saturday morning you can hear updates from Missouri State Parks and Missouri Department of Conservation staff. Then attend the resource committee meetings. Be part of the discussions and help review important resolutions. The banquet on Saturday evening will feature silent and live auctions as well as raffles. Through the auctions and raffles during the evening, CFM will raise money to support our efforts. Don’t miss out on some great items and trips. Come meet and have your picture taken with Miss Missouri. We are excited about what we have to offer this year, so don’t miss out on your opportunity to join the fun. Be a “Voice for Missouri Outdoors” and register today! Reserve your room now at 573-635-1234. The CFM room block at Capitol Plaza Hotel ends February 4th.